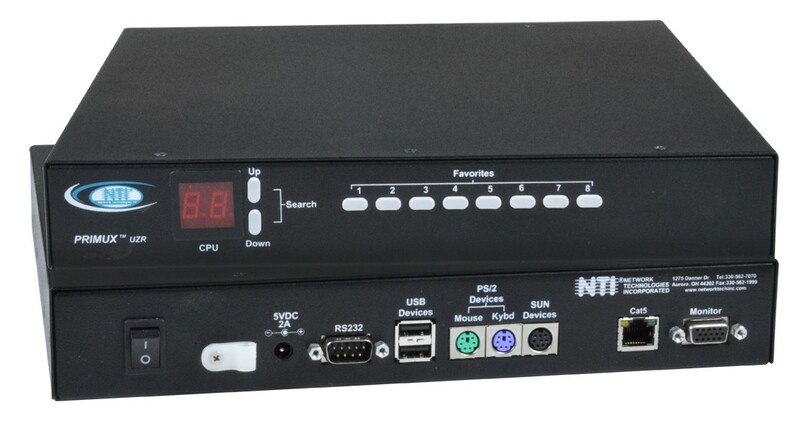 The PRIMUX® Zero-U VGA KVM Switch System allows you to control up to 64 computers without consuming rack space. The switch frees up valuable space by eliminating large KVM switchboxes and bulky hard-to-manage coax cables. The PRIMUX system consists of two components: the User Station that connects to a keyboard, monitor and mouse, and Host Adapter that connects to a server. Up to 64 Host Adapters can be daisy-chained together providing user access to up to 64 servers. The User Stations and Host Adapters can be located as far as 1,000 feet (305 meters) from each other via CAT5/5e/6 UTP cable. Two female USB Type A and two female 6-pin miniDIN connectors. User keyboard and mouse must be of the same platform – both USB or PS/2. Supports standard 2-button PS/2 mice, as well as other styles. Supports most USB mice (up to 3 buttons). Compatible with legacy PS/2 computers with VGA video. One male 15-pin HD and two male 6-pin miniDIN connectors. Compatible with legacy SUN computers with VGA video. Compatible with most serial devices with an RS232 port. 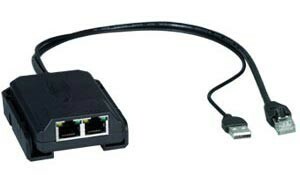 One female RJ45 EIA-232 serial port connector. 800x600 @ 60 Hz signal. Locate and select computers by name, comment, index or ID. Displays the platform, name, and power status of the daisy-chained computers. Allows color skew compensation and video compensation fine tuning for optimal video quality. Locally change ports with front panel buttons. Provides eight “favorites” buttons allowing the user to program buttons to select frequently used computers. Use the keyboard to command the user station to select ports or configure the Scan delay. Scan Mode automatically and sequentially displays the video from each powered-on computer. Command Mode allows the user to give instructions to the switch through the keyboard. Allows you to connect servers physically located in different locations throughout your building to a maximum distance of 1,000 feet.